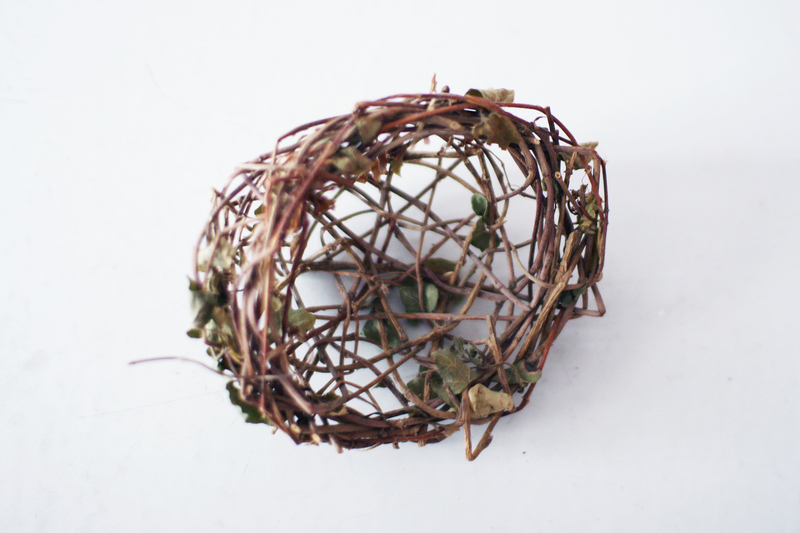 I’ve been doing some creating outside the concrete realm recently, and have really enjoyed it! It’s also something I plan to explore more once our baby arrives (which could be any day!) and concreting becomes more difficult. 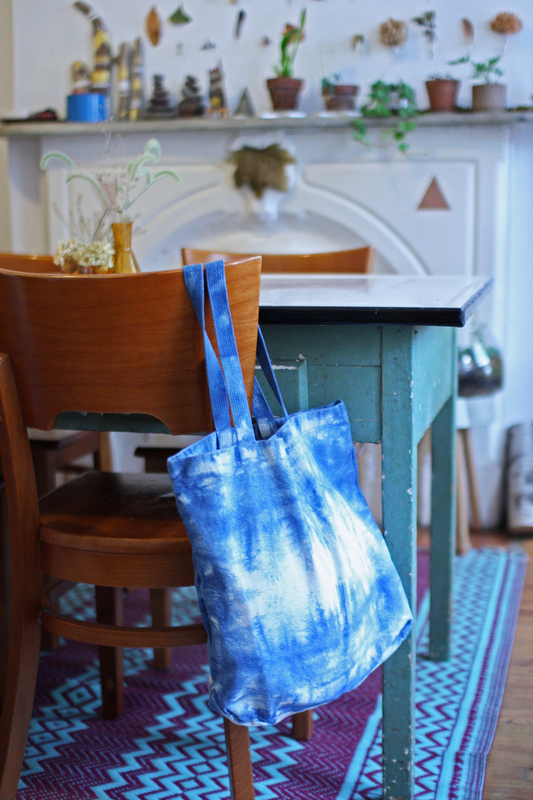 Both shibori dyeing and random weaving are practices I’ve been experimenting with for a number of years, and these tote bags and nests are new and improved versions of similar pieces I used to make and sell at Mr Sparrow back in the day. 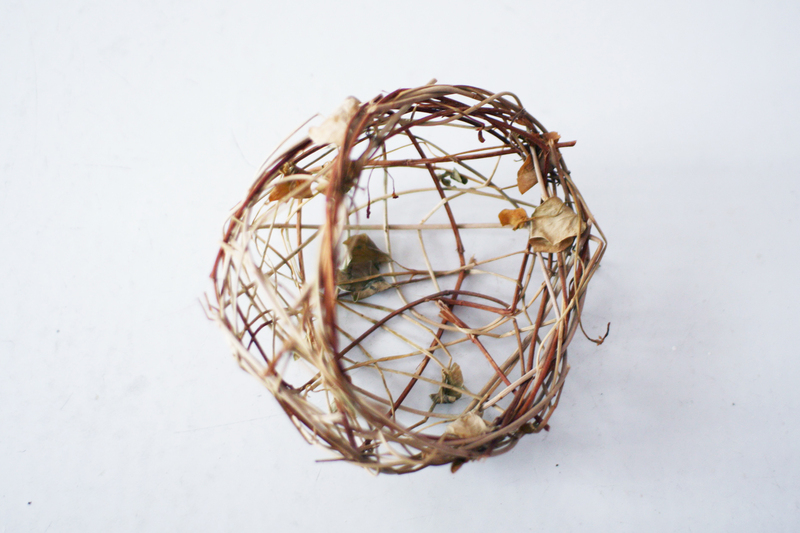 Both of these practices are a little more meditative than concreting and I feel like the philosophy of wabi-sabi extends nicely into these pieces (which is not to say I’m giving up the concreting, but I may have to put it on hold for just a little while). 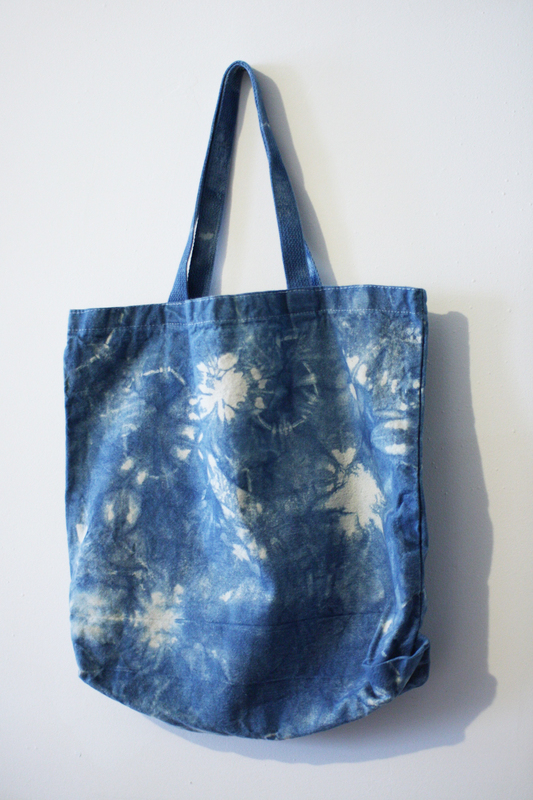 The tote bags are 100% cotton and nice strong, heavy-duty bags. 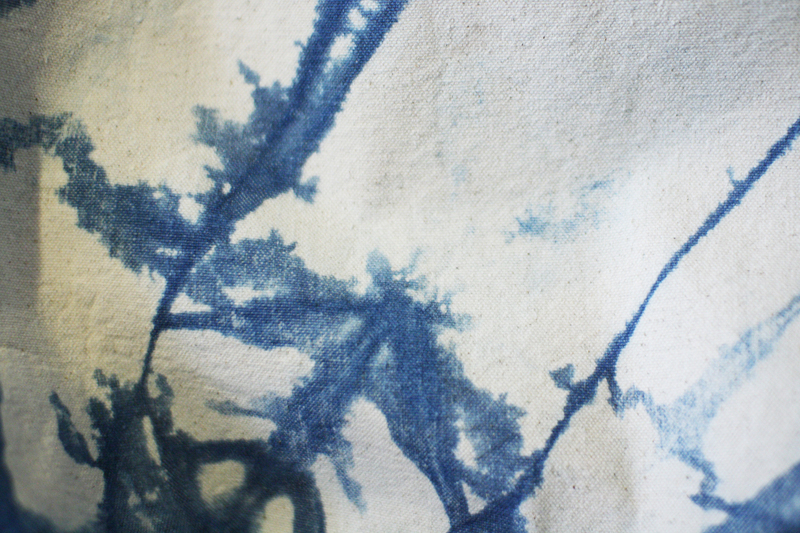 They’re hand-dyed using traditional shibori wrapping techniques and natural indigo dye, producing a unique result that cannot be reproduced. 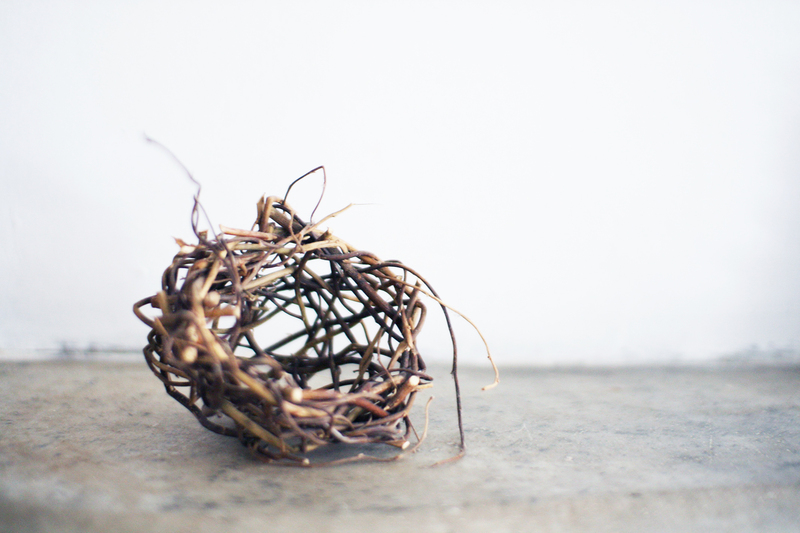 Each of the nests is also a one-off and made entirely from one plant material, each one a different plant. 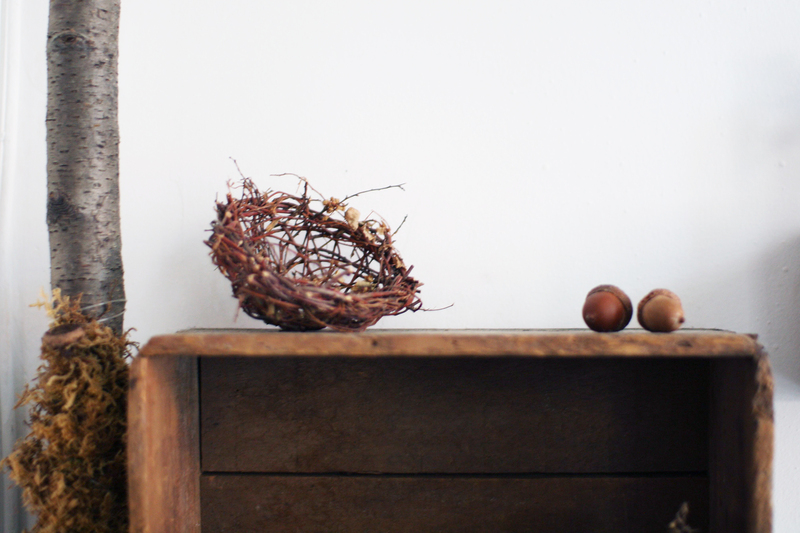 All the materials are things I have gathered, either here in New York or back in Australia. 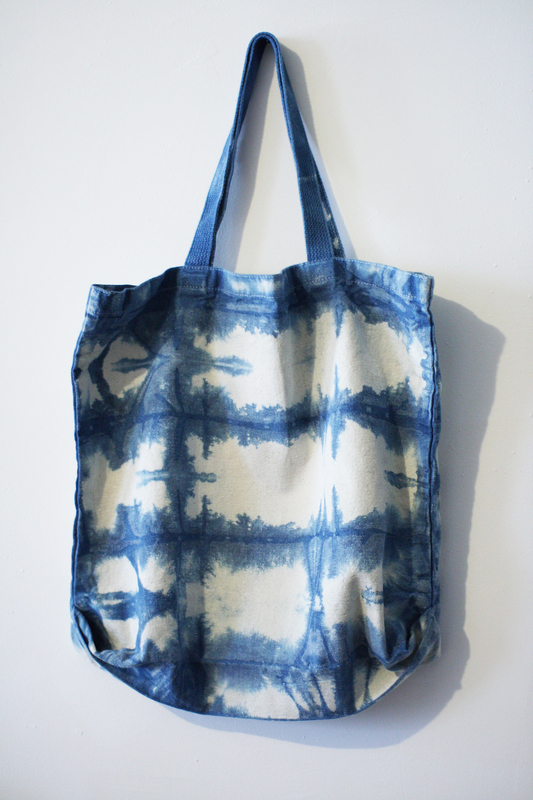 There are four shibori bags and five nests now up in my online store and my etsy store. I hope you like them! 26 Aug	This entry was published on August 26, 2015 at 9:57 pm. 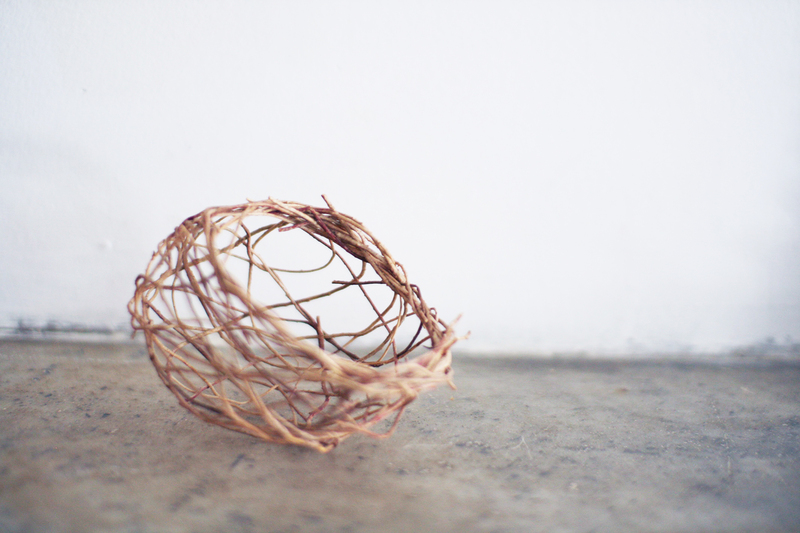 It’s filed under tasi masi and tagged basket, dyeing, handmade, indigo, nest, random weave, shibori, tote bags, wabi-sabi, weaving. Bookmark the permalink. Follow any comments here with the RSS feed for this post.